Tide players are still finding ways to motivate themselves even if the team’s doubters aren’t exactly numerous. 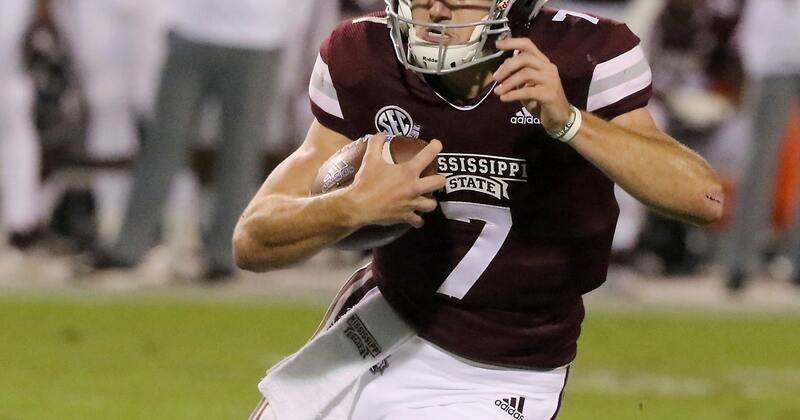 But the Bulldogs, led by quarterback Nick Fitzgerald, are game to try. The SEC’s top-rated overall, scoring and pass defense gets a shot at what nobody else has been able to do: Contain Alabama’s Heisman Trophy candidate quarterback Tua Tagovailoa. The Bulldogs offense, though, has only topped 10 points twice in that decade-long losing streak to the Tide, including last year’s 31-24 defeat. “We talk all the time here in our building and with our kids about the term ‘Championship Standard’ and, quite frankly, this is what we are chasing,” said Bulldogs coach Joe Moorhead, facing the Tide for the first time. The Bulldogs have played the No. 1 team in the country eight times, and seven of those games have been against the Tide. The other was against Florida in 2009. Mississippi State’s lone win against the top team came on Nov. 1, 1980, when the Bulldogs beat Alabama 6-3 in Jackson. The closest Mississippi State has come to knocking off No. 1 since that game was last season, when Alabama edged the Bulldogs 31-24 in Starkville. Mississippi State is the only team in the Football Bowl Subdivision that hasn’t lost a fumble this year. It’s a streak that includes 344 rushing attempts. Fitzgerald has lost a fumble only three times in his career and all three came in 2016. Since then, he’s had 458 carries without a lost fumble. They’re two very different quarterbacks but both are dangerous. Tagovailoa is one of the nation’s top passers with 27 touchdowns and just one interception (coming against LSU). He did run for a 44-yard touchdown in that game despite a gimpy right knee, but mainly makes plays with his left arm. Fitzgerald is the SEC’s all-time career leader in yards rushing for a quarterback and ranks second in the league overall with 104.9 yards per game. This game will feature some of the SEC’s top defensive linemen, from Alabama’s Quinnen Williams, Raekwon Davis and Isaiah Buggs to Mississippi State’s Montez Sweat and Jeffery Simmons. Sweat is second in the league with 9.5 sacks and Buggs is right behind at 9.0. Williams has emerged as one of the Tide’s biggest stars in his first season as a starter.